AOD invites the Netherlands Embassy to support Sri Lanka in its innovation journey to set up a design innovation laboratory in the island. As a first step to this, a Dutch delegation is joining Sri Lanka Design Festival this weekend with a series of talks, workshops, conferences and roundtable discussions, to be held 9-11 November at Trace Expert City Colombo. The collaboration will help shape a new wave of design thinking to impact the three critical developmental points—business, education and state in Sri Lanka. Sri Lanka Design Festival 2018 has announced a ground-breaking program of events that focus on sharing new ideas and know-how on design and innovation, in partnership with one of the world’s most respected nations for creative ingenuity—the Netherlands. The program stems from a long-term Dutch-Sri Lanka collaboration formed through AOD and the Netherlands embassy in Colombo. AOD has been working with entities like the Dutch embassy to drive a new wave of thinking in design and innovation in the island, in order to build a thriving creative economy here. As part of this movement, Sri Lanka Design Festival is due to unfold this weekend with a series of events linking design thinking to business, education, government and everyday living, showing how creativity strengthens industries, builds economies and connects people in more wholesome and sustainable manners. A delegation of Dutch design strategists and designers are to arrive in the island within the next few days to conduct these sessions and engage with local design communities and the general public. The Netherlands-Sri Lanka design connection stems from the history between the two nations and their shared creative heritage. This historic connection is what comes into a modern light, by working in collaboration with the Dutch to benchmark their ideas on how creative thinking and design led innovation can drive economic growth for Sri Lanka. 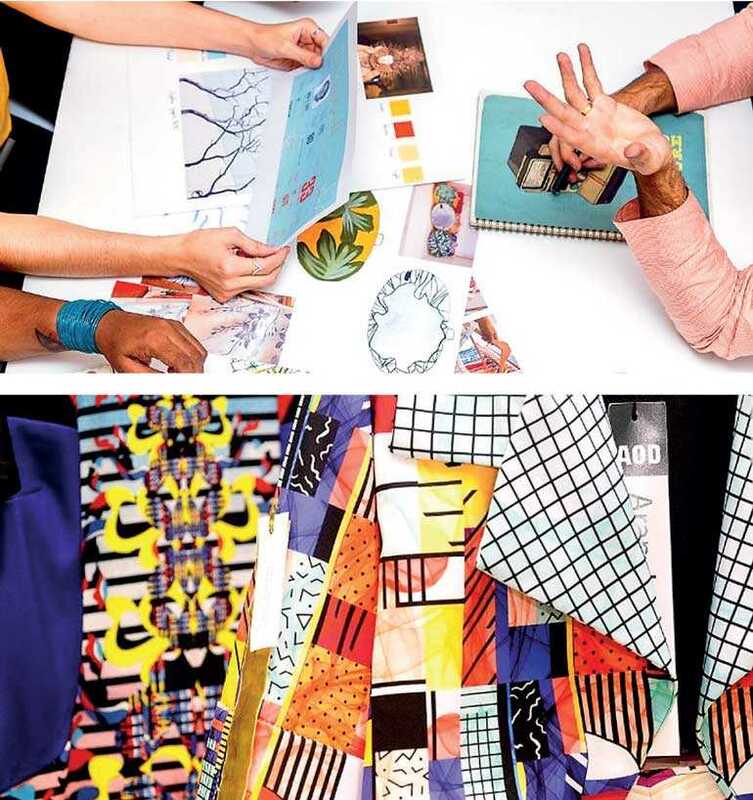 Dutch design, being associated globally with cutting-edge innovation, experimentation, unconventional approaches to problem solving, with a strong focus on sustainability, becomes a fantastic model for Sri Lanka’s creative industries strategy, and developing its own contemporary vision for design. At Sri Lanka Design Festival this year, the Dutch-Sri Lanka collaboration sets out to map out the studies, strategic moves and policy outlines that will help shape Sri Lanka’s creative economy national policy in the next year. One of the key sessions under this program introduces circular thinking for entrepreneurs, business managers in sales, marketing and business development. It aims to acquaint people who are directly engaged in the process of decision-making, business organisation, designing or making products, with a circular approach to the products they make, and the way they work. The session will cover circular entrepreneurship, making business opportunities out of circular economies, and finding opportunities to deal more carefully with raw material. Conducted by CIRCO, a Dutch consultancy based on helping people discover business through circular design thinking, the session will be an intense rapid ideation and work process, aptly titled pressure cooker workshop. CIRCO will also conduct a second session as a ‘Circular Design Class’, getting deeper into process specifics for the benefit of professional product designers and final year students who want to apply circular design strategies and business models, and are inspired to play their role as circular change agent. It will focus on how creative professionals can play an important role in creating a more sustainable future. The session will include theory applications, insight into the basics of circular design and business models. It will be conducted by CIRCO sector coordinators Bas Hillerström and Stella van Himbergen. The core activity of the Dutch design collaboration with Sri Lanka is a knowledge exchange session, which aims to share know-how and experience in developing a design-driven innovation circular infrastructure. The session will delve into how emerging countries like Sri Lanka can generate sustainable development while managing competitive prices. With Dutch experience in using the creative industries to address the very same challenges, the session will discuss how innovators, creative thinkers and designers can contribute to change through high-performance creativity and business-oriented thinking. Finally, the session will go into the necessity of a national policy to converge ideas, efforts and transactions effectively. These ideas will be taken forward to develop a design innovation platform on Sri Lanka’s creative industries as a partnership between the state and the private sector. Bart Ahsmann of CLICKNL, a Dutch creative industries’ knowledge and innovation network, will share insights to the country’s celebrated innovation ecosystem in the creative industry, in which stakeholders of knowledge institutes, government and industry actively take part. Building on these insights, possibilities can be sketched up for a design-driven innovation ecosystem in Sri Lanka, along with the steps need to move towards an innovation agenda. The session will include representatives of government, industry and education. In this session, Dr. Frits Grotenhuis, a Dutch expert in building strategic networks, joint research agendas, infrastructures and innovation platforms, will provide the audience with good practices and insights in creative industries policy making. Some of the good practices and lessons shared here will be organising national networks, building strategic agendas, and outlining public-private partnerships through active roles for each party. The session will conclude with an overview of key insights in creative industries good practices and recommendations for future policy making in Sri Lanka. In this workshop, Paulien Strijland, CEO and co-founder of Design4Good, will explore how to create a design-led organisation. She will discuss how Sri Lankan businesses can make the customer central to the business decisions and iterate more quickly and work with interdisciplinary teams, looking at the process of how designers work. This aims to help the participants understand how to discover customer needs, hire the right kind of designers, and become a change agent for their own organisation. The session is targeting business leaders who want to learn about design-led organisations and those who want to build a design-led team, but don’t know how, as well as designers and design managers trying to find ways to have more impact. In this session Vera Winthagen, strategic design consultant at Eindhoven municipality, will take the ‘triple helix’ (education, government, industry) approach and the five principles of design thinking—working in co-creation, using soft information, putting the end users first, working with prototypes and defining the problem area—to explore what design thinking can do on a strategic level for the ecosystem on a given topic. Some of the other key delegates coming through this Dutch-Sri Lanka design connection include Christine de Lille, professor of innovation networks at Hague University of Applied Sciences; Design4Good co-founder Eric Joustra; Stella van Himbergen, director and owner of Dutch Design in Development; Thijs Adriaans, filmmaker, photographer, researcher and storyteller; Rens Tap, business development manager of Modint, the Dutch Association of Clothing and Textiles Companies; as well as Lucie Huiskens, co-founder and program coordinator CLICKNL and NextFashion. These global experts will draw from the knowledge resources and collective experiences of Netherlands that has helped the country use design as a major contributor to its economy, and become a pioneering name in global design with its own signature aesthetic and creative philosophy.